Global markets have stabilised after initial fears that Turkey’s crisis would spread to other emerging economies or even Europe – but that does mean the danger is over. Turkey plays a key geopolitical role as a NATO member that makes any threats to its stability even more important to its neighbours. Investors fear the crisis could spread to other vulnerable emerging states like South Africa and Argentina, while some European banks hold substantial exposure to Turkish assets. 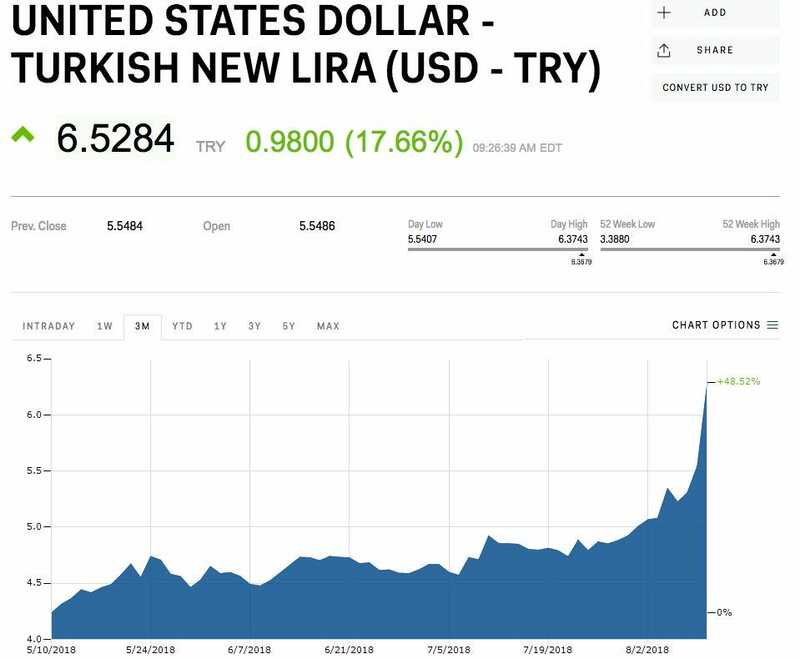 Turkey’s deepening currency run, which some analysts worry may soon morph into a debt repayments crisis, has a good chance of affecting other key markets around the world for one key reason: the country’s political importance to the power struggle between the European Union and Russia is even greater than its economic might. “Although Turkey is considered an emerging market economy, it’s still a NATO ally and some reports say that we have close to 50 nuclear weapons stored on their soil,” said Chris Zacarelli, chief investment officer at Independent Investor Alliance, in a statement to reporters. He added that Turkey had been moving away from the US politically, and had made overtures to Russia, China and Iran. “Separated from the political angle, a Western-style refinancing and restructuring to resolve the excessively large inflation and current account deficit problems would appear to be a rational response to the problem,” he writes in a blogpost. That means more potential contagion both to other large emerging markets that are current in fragile financial positions, like South Africa, Argentina and India, as well as into Europe via the exposure of Spanish and Italian banks to Turkey. 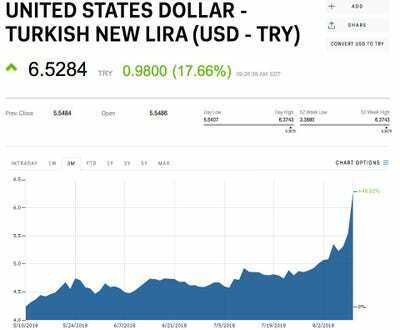 The market consensus is that the Turkish government’s response to the crisis thus far has been way too timid.